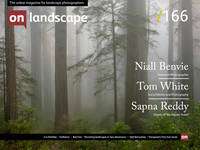 Sapna Reddy is a landscape photographer based in Northern California. She is currently pursuing dual careers as a photographer and a physician. As a radiologist she studies images in an attempt to establish diagnosis and cure the human body. As a photographer she aspires to generate images that celebrate the beauty around us and help to heal the mind. Her work has been published internationally including Lonely Planet, Popular Photography, Outdoor Photography, Landscape Photography magazine etc. She is the winner of the summer assignment 2016 for Outdoor photographer magazine, Minimalism assignment for National Geographic and category runner up for USA Landscape Photographer of the year 2016. In addition to incorporation into multiple medical centres to create an ambiance of healing, her images have been used for video conferencing needs by corporations including Google, Gap, Hitachi, Yahoo etc. She also conducts private workshops focused on creative expression via the medium of photography. Select images are available in art galleries worldwide through Yellowkorner franchise. In the 1800s when Northern California was inhabited by Native Americans the coastline was covered in over 2,000,000 acres of Redwood forest. Initial settlers were attracted to the forests which sustained the growth of the lumber industry. When the gold rush happened those who were not fortunate in finding gold found their treasure in the forest. The giant trees were prime territory for logging and the practice led to an economic boom which facilitated the birth of the San Francisco metropolis. The unrestricted logging practices, unfortunately, led to the catastrophic devastation of the forests. Today a small fraction of that original forest remains protected under National and State laws. Serious conservation efforts made since the 1960’s have resulted in a sanctuary for the giants, along with a narrow strip of the California coast that extends over a distance of 470 miles (750 Km) in length and less than 47 miles (76 Km) in width. In 1980 the forest was declared as a World Heritage site.